It all began when Inderjit had her own private school for rich children in Bhubaneswar. Sometimes she saw poor children stop outside the school gates. They were dirty and dressed in rags and looked longingly at the pupils in their crisp and clean school uniforms playing in the schoolyard. They themselves had neither the money nor the time to go to school. It was the same all over India, hundreds of thousands of children work on trains and at railway stations. There are lots of people moving around and opportunities to make money. 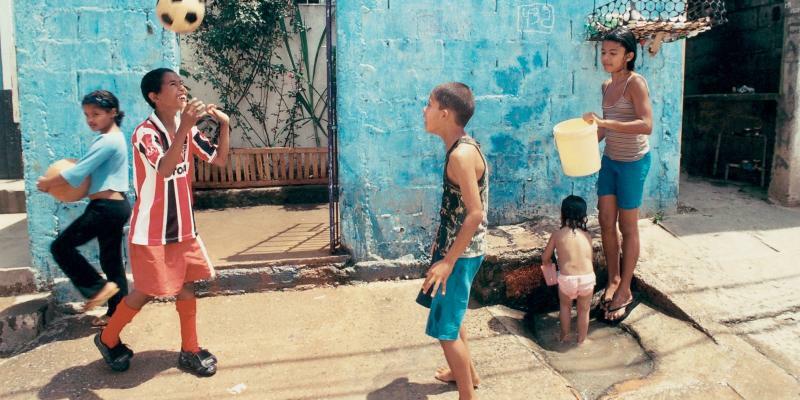 For these children, the platform schools are their only hope of an education. When Inderjit used to take the train from the central station, she met many working children of school age. “Why aren’t you in school?' Inderjit once asked a little boy who was sweeping the floor in her train carriage. “My father is dead and my mother can’t manage without my help,' the boy explained. Inderjit knew that many people tried to help poor children in India. But that help didn’t reach the poorest children at the station. They have to follow the train schedules to survive. In rush hour, and when the large express trains come in, the stations fill up with people. And that’s when there’s money to be earned. 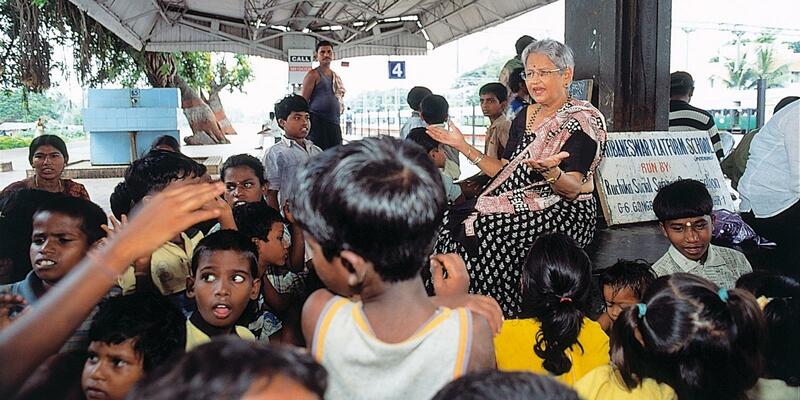 She opened her first railway platform school more than 25 years ago. 20 years later her organisation, Ruchika, run twelve platform schools, six nurseries, 75 slum schools, 20 nursery schools, preventative HIV and AIDS projects, two “schools on wheels', vocational training and clean water and sanitation projects in the slums. Inderjit and Ruchika also offer healthcare and run an ambulance service for emergencies. In addition, Ruchika has two helplines for children and women and gives scholarships to gifted poor children. Inderjit believed that if the child cannot come to the school, the school has to come to the child. She and Ruchika sought to give a basic education, building up children’s self-esteem and opening the door for them to have a life free from poverty, child labour and violence. In 2010. Inderjit Khurana sadly passed away – her legacy and memory will live on.